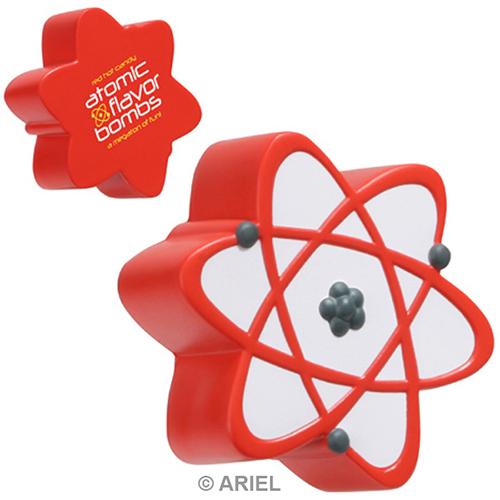 Our Atomic Symbol stress ball is warning you not to let this promotional opportunity pass you by! You can custom imprint an atomic symbol stress reliever with a clever slogan or a business message. These atomic symbol stress balls are great items to hand out at industry shows and special events. Item Size : 2-7/8" dia. x 1"
Imprint Area : 1-1/4" dia.